I own both FS9 and FSX, I flew primarily FS9 until I got myself a computer that is powerful enough to properly enjoy flying in FSX with maximum settings. This is a list of the aircraft in my virtual hangar. 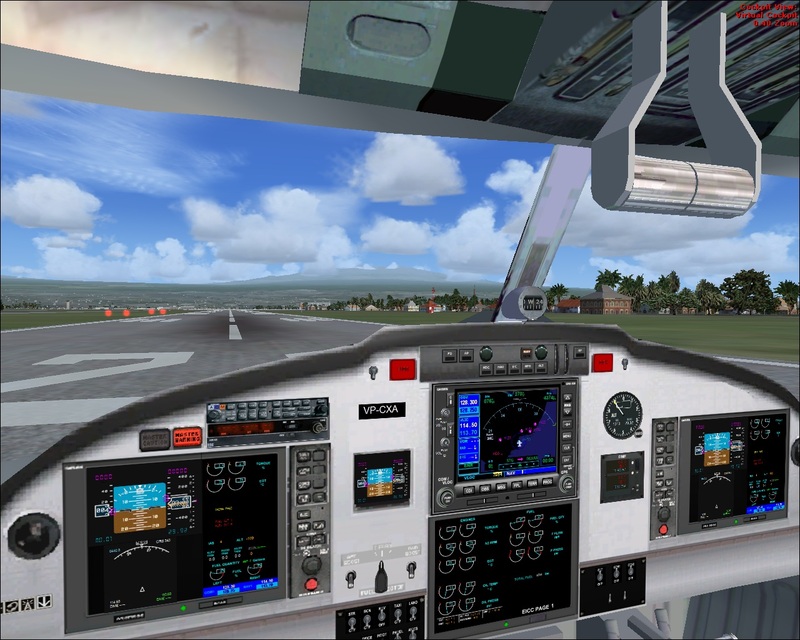 It consists basically of the default planes from FSX, I love virtual cockpits and most freeware aircraft for FSX have no VC and if they do it is usually poorly done. For that reason I am incursioning into payware but in any case here is the list of my favorite aircraft in FSX. I have not found the time to update this section with my beautiful Carenado Piper Seneca II (2012) which I am using quite a lot. Max. Range 976 nm Take-off distance 2420 ft. Landing distance 950 ft. Service ceiling 22,800 ft. I love this Grand Caravan and have liked to "fly" it ever since I "graduated" from the Cessna Skylane SP where I learned the basics of flight simulation. I also loved the float/amphibian version that was available in FS9, unfortunately Microsoft discontinued it in FSX. 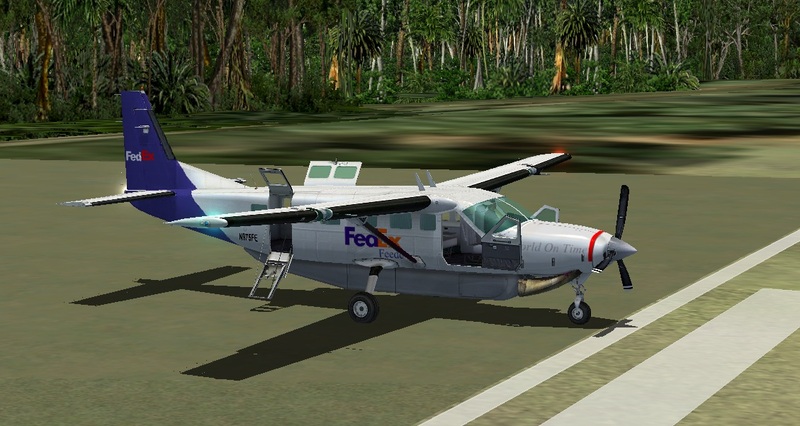 I have a few repaints for this default FSX aircraft such as this FedEx version parked at Coiba Island with all four door animations. The virtual cockpit is also wonderful and fully functional. The only problem I have encountered with it is that the animated yokes get on the way when trying to find some important switches. The only weirdness I have encountered with this a/c is that when I move the fuel tank selector lever (see overhead panel) to BOTH then the engine shuts down. Apparently it only works in LEFT position. Landing distance - Service ceiling 13,500 ft. This is where I and I guess most flighsimmers got the virtual pilot student license :) good to learn the basics and you should! A colleague of mine for example bought FSX and went straight to flying the default Boeings without learning the basics. Unfortunately I do not have any repaints of the default FSX Skyhawk and Microsoft provided no paint kit either to make a personal paint scheme. 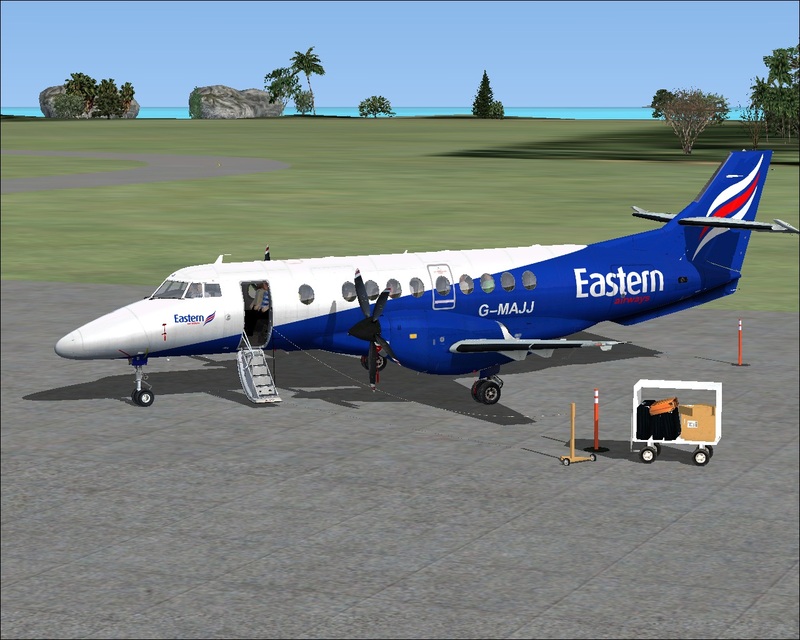 I like this plane for very short flights, VFR and in particular for testing the add-on scenery I develop. 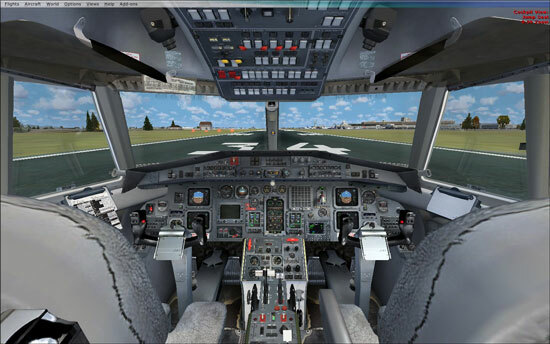 The virtual cockpit is also very inmersive with the only drawback being that the yokes get on the way while configuring the plane for take off. But you can always switch to the excellent 2D cockpit to find those switches. Another C172SP I use is the version with the Garmin 1000 glass cockpit. It is very nice to fly with, then again the drawback of that version is that it lacks an ADF. In Panamanian airspace there are several NDB installed in areas where a VOR/DME was not installed. Max. Range 1714 nm Take-off distance (MTOW) 3,300 ft. Landing distance (MLW) 2,692 ft. Service ceiling 35,000 ft. This is one of my favourite GA planes too, especially when I want a mix of IFR and VFR. This workhorse has two engines so you can play with a single engine failure. The only thing is that I don't think this default a/c simulates single engine flying realistically. For that reason I am hoping to buy a Piper Seneca II from Carenado. I found this HeliJet livery for the default Beech King Air 350 which is nice to fly some virtual rescue missions. The virtual cockpit also gives a realistic feeling. It has a simple overhead panel but it has no active instruments up there. The 3D cockpit is not overly complicated but like all others, it is sometimes difficult to get to some switches behind the yokes. In particular during one flight I had double engine failure at 12,000 ft. and had a hard time getting at those switches while trying to restart (BTW, it failed and I crashed into the sea). I really love to fly this default jewel into the sunset or above the clouds. 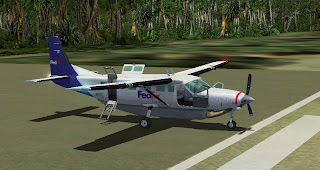 There is also a very nice FSX mission (default) called "Alaskan Mail Run" if I remember correctly. In that mission to fly high above clouds with bad weather and then have instrument failures. You should try it!. Engines 2x Pratt & Whittney PT6A Wingspan 19.8 mts. Length 15.77 mts. MTOW 5670 kg. Max. Range 775 nm Take-off distance 1200 ft. Landing distance --- Service ceiling 26,700 ft.
One of my favorite add-ons since FS9, the legendary De Havilland Twin Otter which I have boarded as passenger several times. Note: I have to update this entry, I no longer use this freeware. 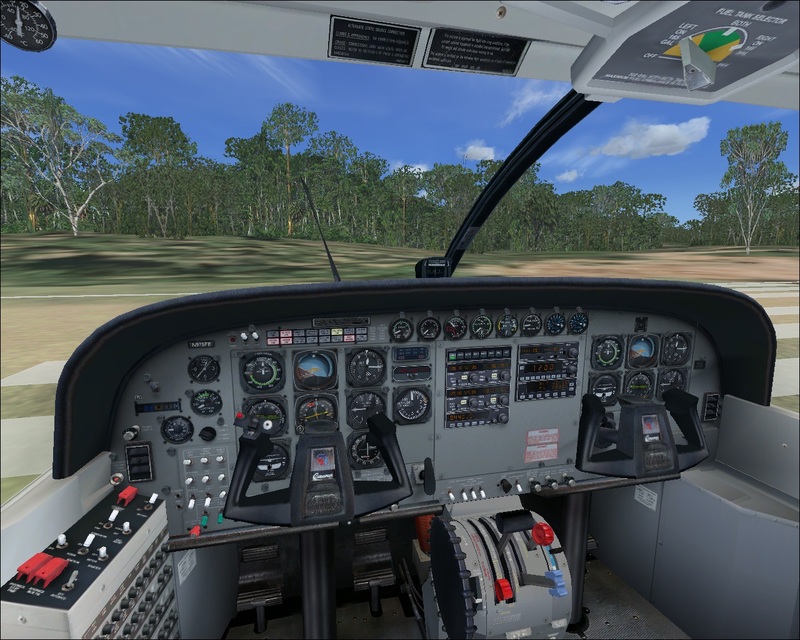 I use the Aerosoft Twin Otter. Good news is they are coming up with a newer improved version, sad news is they still show no interest for the -400 or Vistaliner variants. This excellent Short Take Off and Landing (STOL) aircraft is now being manufactured again in an upgraded 400 version with glass cockpit. The drawback of this freeware version is that the quality of the VC is relatively poor and it is extremely difficult to read the instruments (blurry). Some gauges are just plain useless, this is a pity because otherwise it would be fun to fly in IFR. I have never tried the Aerosoft version (-100,-200,-300) which has the conventional cockpit. 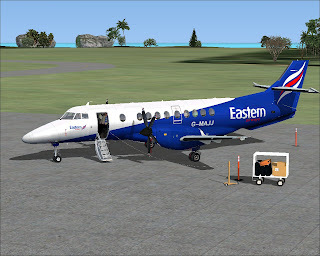 I downloaded several liveries of this freeware for FSX. I installed their update recently and now I have light in the panel! now I can fly IFR, even an IMC. I see these birds flying over my house every day. Perhaps one day I buy the Aerosoft version, although I hear the simulation is not as deep as payware from other vendors such as PMDG. 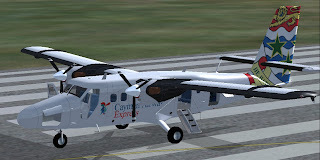 In 2010 I took the plunge and bought the Aerosoft Twin Otter X and boy! I have not been disappointed! I used to fly B737 on the sim nearly always, now I can't seem to leave the Twin Otter, it is such a nice bird to fly! and it is much more realistic (and easier on the eyes) than the freeware I depicted in this section. Just look at all my DHC6 posts. Landing distance MMM Service ceiling 41,000 ft.
Bought this one but I have only taken it for a wild ride once but not a full flight. Lack of time but soon its inagural flight (SKRG - MPTO) will come. One of my most recent acquisitions was this excellent PMDG BAe Jetstream 4100 turboprop with a very exhaustive simulation of systems. I downloaded several liveries from their site among which this one which looks just like the real thing!. It comes with a full set of manuals for your reading enjoyment, a must if you don't want engine fires or engine meltdown! this is certainly one of the best simulations I have come across. This is a regional airline for short commutes (around two hours max.) so don't expect to fly long range routes. The virtual cockpit is just fantastic and it contains views of the overhead, the captain and first officer sides. In fact during cockpit preparation you will have to switch between these VC views to reach certain instruments. The aircraft is type rated for both VFR and IFR flights and seems to me like a wonderful aircraft for those that are interested in real turboprops. As you can see the exterior model is very accurate and aesthetically pleasing, one of the other reasons I decided to buy this add-on. In addition to that the vendor is very reputable, even better the vendor is also the developer so as to minimize problems with product support. Unfortunately so far my attempts to start this a/c have resulted in engine fires, haven't figured out what is wrong. There is no Cold & Dark, so the first time it is with engines running but after shutting them down to start again the engines get burnt.